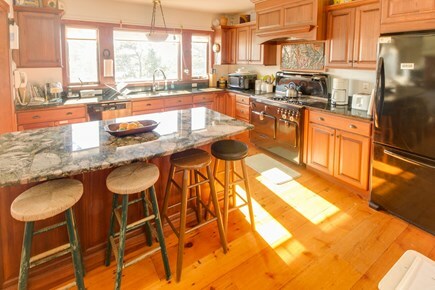 Discover the family home of your dreams at this four-bedroom Brewster retreat, a picturesque Cape Cod escape with an abundance of New England charm, a sun-splashed back deck, provided adult- and child-size bicycles, and an incredible lakefront location overlooking Sheep Pond. 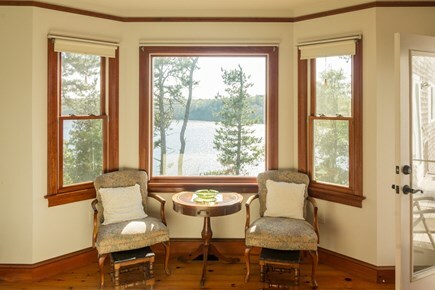 Built in 2009 in the traditional Cape Cod style, this three-level home sits on the eastern bluffs above Sheep Pond, offering magnificent views of the lake from nearly every room. 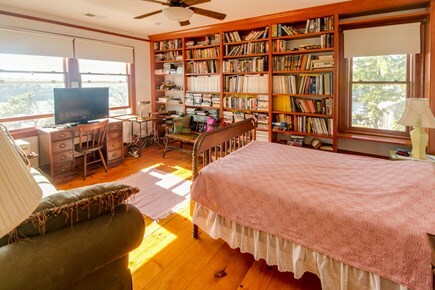 This home is a short, four-minute walk to one of two beaches on Sheep Pond down the street (a pass is provided). The living space is full of storied history, from the soft pine floors that were reclaimed from a Connecticut barn to the wood-burning fireplace made from century-old Boston bricks. You need not live in fear of rainy days, as you can curl up on the sofa, throw one of the provided logs on the fire, and read one of the hundreds of books or magazines in the home's library. Choose a movie from among more than a hundred in the DVD/VHS library to watch on the cable TV, or use the home's movable HDTV display to enjoy gaming or streaming video on your own device. The furnace will keep you warm in the winter, and the air conditioner will keep you comfortable in the summer. 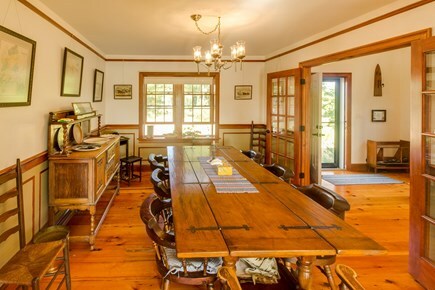 If you need to bring work with you, this perfect home away from home has a ?fully equipped office with desk, telephone, scanner, fax and networked Xerox?color laser printer. Every room has a wired LAN socket and ?telephone, and you can even call from room to room. 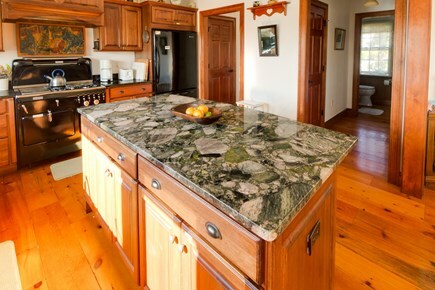 Begin each day in the gourmet kitchen, where you'll find richly hued wood cabinetry, a marble slab island, and a stunning Chambers gas stove that was rebuilt and re-enameled especially for this home. Wake up to fresh espresso, throw a few ingredients in the slow cooker for dinner, and let the dishwasher take care of the breakfast plates. But when the sun is shining, you'll have few reasons to remain indoors for long. Take one of the six adult-size bikes or the two child-size bikes for a leisurely ride on the bike path just around the corner. 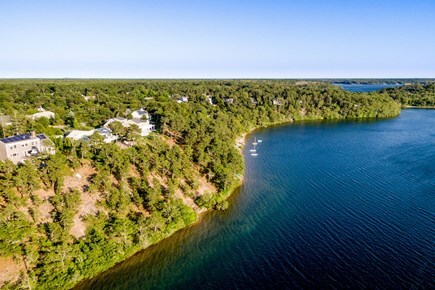 Spend a day lounging on the one of the private beaches on Sheep Pond or any of the six public beaches in Brewster. 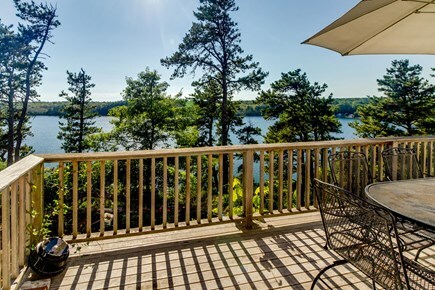 When you come home to this lakefront escape, you'll have both gas and charcoal grills, a shaded patio table, an indoor dining table for eight, and incredible views of the well-stocked Sheep Pond where you can kayak or fish in the summer and ice-fish in the winter. Set up a board game or two and spend the rest of the evening relaxing with your kids. 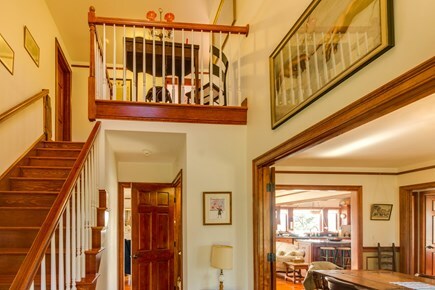 With four bedrooms and two-and-a-half bathrooms, The Beauty of Brewster can accommodate as many as eight guests and one dog (please note, however, that a 20-pound weight limit and a nightly pet fee apply). The first-floor master suite comes with a queen bed. 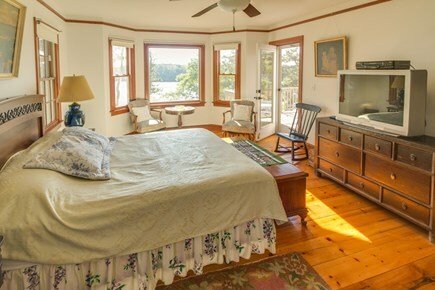 Upstairs there are two bedrooms with twin beds (a single bed and a trundle bed), and a third bedroom with a full-size bed and a queen-size sofabed. The living room also includes a twin-size pull-out bed. A Pack 'N Play, baby gates, two more TVs, and WiFi are also provided. 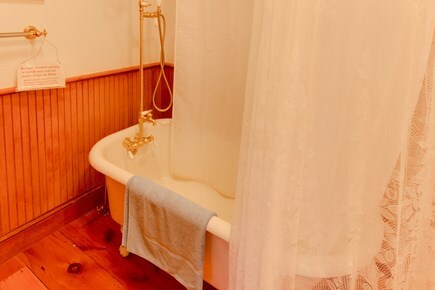 And should your kids come home wet and salty after a day at the beach, you'll find a lake view laundry room in the basement, complete with an antique soapstone sink. 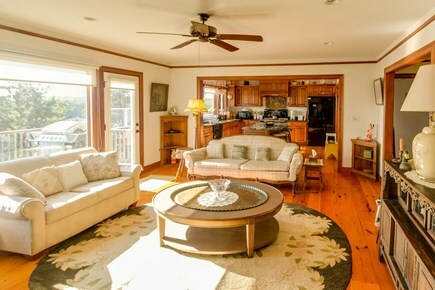 Whether you're planning to surf, sunbathe, or unwind among the gorgeous Cape Cod landscapes, this Brewster home will place you in the center of it all. Take morning walks through the Sheep Pond Woodlands, stopping to fish for salmon, trout, bass, and perch. Ride your bike over to Roland C. Nickerson State Park, where you'll find an eight-mile bike path that connects to the Cape Cod Rail Trail just a mile away. Are there a few eager beach-goers in your family? You'll find some of the Cape's most beloved stretches of sand nearby, from Corporation Beach on Cape Cod Bay to the breathtaking expanse of Lighthouse Beach. 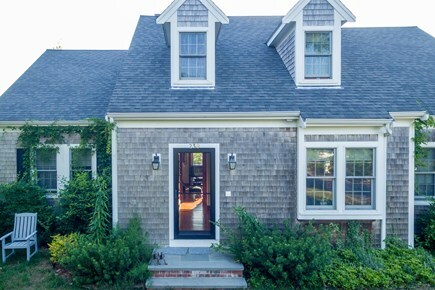 Begin planning your next Cape Cod vacation today - a stay at this lovely Brewster home will be a family tradition for years to come! This home is wonderfully located. 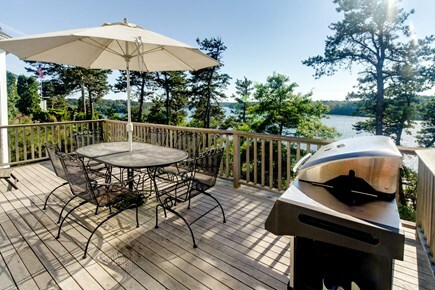 The view is fantastic and the home is a short walk to 2 different pond beaches. The pond is wonderfully clean and clear, and it was larger than expected. The community is nice and quiet. We had a great weekend here. The house had everything we needed, as well as beautiful views of the pond. Would stay here again! Our stay in Brewster was amazing. 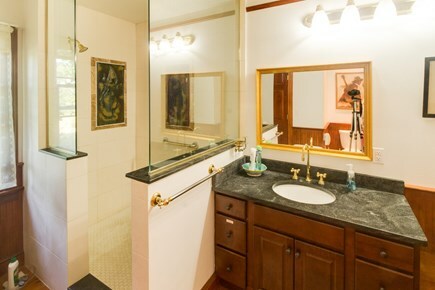 The home is in excellent condition, very clean, and spacious and beautiful. The views of Sheep Pond are gorgeous. If we could suggest anything, it would to create a path/staircase down to the pond from the property, for direct access. We loved our stay. Beautiful view from every room of Sheep pond which is a large and clean pond. Nearby Nickerson park provides an excellent spot for recreation.